Breathing in the fresh ocean air in Cabo San Lucas will give you new life, which is why this Mexico resort town continues to attract travelers from all over the world. Cabo San Lucas will blow you away with its abundant natural beauty, from its postcard-worthy beaches to its breathtaking sunsets. Whether you are looking for a relaxing, rejuvenating beach vacation or you are looking for an action packed outdoors adventure, Cabo San Lucas is sure to exceed your expectations. One of the best ways to soak up the beauty of this Mexican beach paradise is by booking a vacation rental with sweeping ocean views. Vacatia makes this not only possible, but also easy. 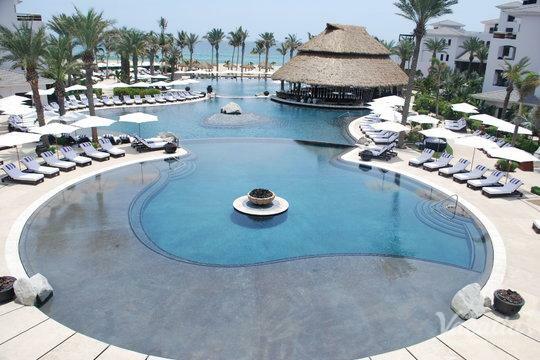 Vacatia can help you sort through the vast selection of ocean-view resorts in Cabo San Lucas so that you find the perfect home away from home for your Mexico escape. There are plenty of hotels in Cabo with ocean-view rooms, but sorting through them all can be a time-consuming task. 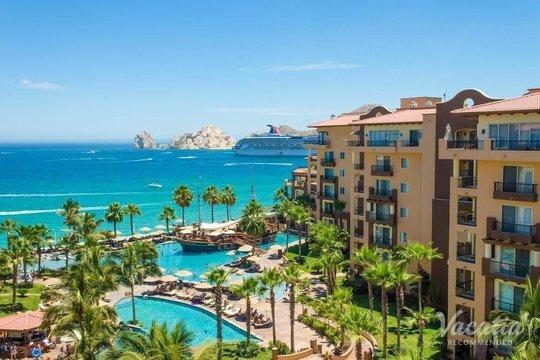 Fortunately, Vacatia and its attentive Guest Care team can help you book a terrific vacation rental in Cabo in no time. Cabo San Lucas is one of Mexico's premier vacation destinations, which is why it is full of water-sport activities, fine dining and nightlife, and luxury resorts. 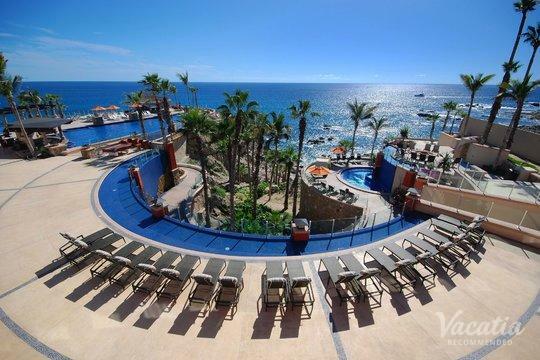 You can make the most of this beloved Mexico getaway by booking your stay at one of the top-notch resorts with ocean-view in Cabo San Lucas through Vacatia. 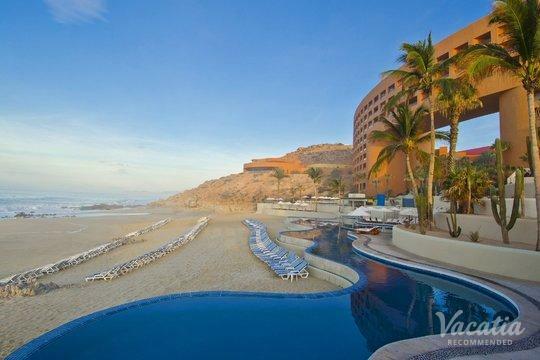 Imagine waking up every morning to the sparkling blue water of Cabo's world-famous beaches. There's no better way to unwind and rejuvenate than by soaking in a beautiful ocean view, which is why you should book an ocean-view vacation rental with Vacatia. Unlike standard hotel rooms, Vacatia's vacation rentals offer ample living space, including a fully equipped kitchen, in addition to the luxury services and amenities of a hotel. When you stay in a Vacatia rental during your trip to Cabo, you can whip up a breakfast in your personal kitchen before heading down to the resort pool to soak up a bit of sun and fresh ocean air. As a popular vacation destination year-round, Cabo San Lucas attracts all types of visitors, from spring breakers to honeymooners to families. There is something for everybody in the Baja California resort town, and you could spend day after day exploring the best that Cabo San Lucas has to offer when you book your stay through Vacatia. While in Cabo, you can spend your days snorkeling, surfing, and fishing, or you can unwind on the beach, at the golf course, or at one of the many luxury spas in the area. After a long day in the sun, you can refuel with fresh Baja California fare from one of the many acclaimed dining options in Cabo, and at the end of the day you can return home to your spacious, comfortable vacation rental thanks to Vacatia. There's simply no better way to ensure that your Cabo San Lucas vacation is unforgettable than by booking your stay through Vacatia.